About The Author: David Schneider is the cofounder of Ninja Outreach, an innovative new Blogger Outreach software for marketers. He writes about business and entrepreneurship and enjoys travel. Many people overlook the value of optimizing existing posts, when in reality, old posts are arguably the best to optimize because you have the added benefit of seeing which posts have potential to rank and for which keywords they’re gaining traction—creating a great 80/20 approach to post optimization. I wrote about how to recycle and improve old blog posts before and, from my experience having worked on some websites such as the NinjaOutreach blog and AvocadoPesto, a food blog, I understand why it makes a lot of sense to invest in optimizing what may be potentially 100’s of existing blog posts, instead of creating new ones from scratch. Of course, I won’t ask you to just take my word for it. So in this article, I’ll present my own case study about how I executed this methodology AND increased organic traffic by over 40%. Afterwards, I’ll show you what effect this had overall on the website. There are several ways to go about this, but I like using free tools like Google Search Console. Make sure the box for Clicks, Impressions, CTR, and Position are all checked. Then click the circle for Pages. This will display a list of pages along with their stats. Click the Download button at the bottom left corner to export the list, and load it into a spreadsheet editor. If you don’t have that many posts option 1 might be the best. But, if you’re like most people trying to work efficiently, I’m going to give you some highly adjustable criteria that you can use to identify the posts that will give you the most bang for your buck. I’ve chosen this criteria because it tells me that the post is ranking for something that has volume, is being seen, but for one reason or another isn’t getting clicked enough. In theory, if we can move it up in the rankings and optimize the title / description to be more relevant to what the user is searching, we can generate more clicks. Given that, create three columns used specifically for the criteria, and use IF statements to indicate whether or not the post is getting high impressions, how it’s ranking, and if the click through rate is lower than 1%. You can then filter out the posts that don’t fit the criteria you want and tweak the criteria as needed. You have your target posts, so let’s find out what keywords for each posts you should be targeting. Go back to Google Search Console to the same screen that had all your posts and find a post that you want to optimize. Note – you may have to go to the bottom and increase the number of results to show more. Generally, the top one is what I choose to make the focus keyword, unless I find that it’s totally irrelevant. The other ones can serve as great secondary keywords for even more of a boost. I create two more columns in the spreadsheet for my focus keywords, and go through all the posts in the list. Once you’ve built your list of blog posts ripe for optimization, you’re all set to get started on the actual process of updating them. I highly recommend Yoast’s WordPress plugin where you can enter your focus keyword and it spits out recommendations. Do your best to improve upon the red and orange circles. The plugin updates in real time so it’s quite easy to follow your progress. It’s free, but the premium plug in allows you to add additional keywords. Once you have mostly all greens, you’re done. Beyond Yoast’s plugin, there are several things you can do to improve a post, such as. Between August and December of 2016, I used exactly this method to optimize nearly 200 old posts on AvocadoPesto, my girlfriend’s food blog. Mind you, we did very little in the ways of adding new content, rewriting, or adding images. The primary focus was simply keyword adjustment and following Yoast’s guidelines. On average, optimizing each post took about 10 minutes, so in total the project took around 30 hours. As you can see, for a long time the blog’s organic traffic was stagnant at around 40k organic visitors a month, even though new content was being produced weekly! In September, after we started optimizing, there was a noticeable uptick to 55k visitors; an increase of almost 40%! 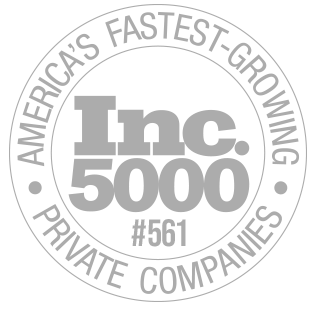 January, being only half over, is on track to surpass 60k visitors, which would be a 50% increase overall. Not bad for less than a week’s worth of work. Now that you know my step by step process, it’s time to take your old (or dead) content out for a makeover. What I’ve shown you is not something overly technical or complicated, and honestly can be accomplished with the help of a dedicated assistant. If you have anything to add or share about your experience optimizing existing posts, let us know about it in the comments below. Some great tips, thank you! I’ve been going through my old posts doing much the same as you for the past month or two. 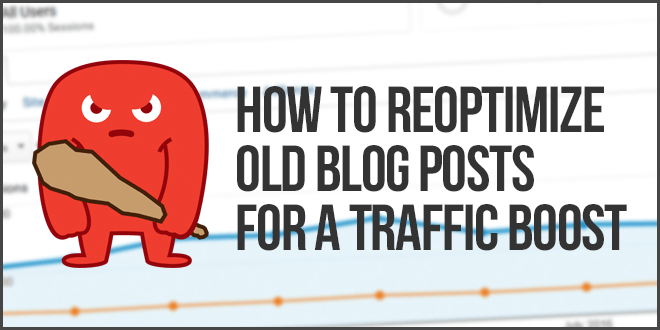 Pair this with re-posting old blog posts to change their time-stamps and you’ll see a very noticeable increase in traffic. I just found a broken link. Please correct it. It’s in author Bio. Regarding post, nice trick. It works better. Awesome. I did this exact same thing using Ryan Stewart’s “Topical Research SEO” and saw a 54% increase in traffic in 2 months. Thanks for sharing. that’s already a popular site as it seems 🙂 I am currently in the same process with one of my sites, following the same principles as you. Did you see the increase in visitors specifically in the updated content, or maybe something like a revive of the whole site due to fresher content (with already popular posts becoming more popular)? I followed along your guidelines, looking to optimize some old content. Hopefully will see some results like yours. Initially I kinda got stuck on the part where in the spreadsheet you have those new columns, and the “IF”s. It wasn’t hard to figure out what you had in those columns but it was’t too obvious ( for me) either. I have been using Yoast for the past few months and there is a marked improvement in the SEO aspect of the content. Though I only used it for the newer posts. I’ll be going back to all the old posts this week, re-optimize them and see how that works. Great idea! I guess if the post has been for quite a few years already, the keywords search volume and research result may vary. Plus the fact that last time, maybe some may have done bad SEO with over optimization of anchor text. So, in term of SEO perspective, it is great reason to optimize old post. Of course, like you said, its good to make the article more engaging too rather than just for SEO. I’m currently using the Rank Math WordPress SEO plugin and absolutely love it! It’s free and I don’t need to worry about vulnerabilities and unstable code. Excellent resource. Thanks for sharing.